Thanks to appropriate data algorithms, firms, especially those on-line, are able to extract detailed knowledge about consumers and markets. This raises the question of the essential facility character of data. Moreover, the features of digital markets lead to a concentration of this core input in the hands of few big “superstars” and arouse legitimate economic and societal concerns. In a more and more data-driven society, one could ask if data openness is a solution to deal with power derived from data concentration. We conclude that only a case-by-case approach should be followed. Mandatory open data policy should be conditioned on an ex-ante cost-benefit analysis proving that the benefits of disclosure exceed its costs. Claire Borsenberger: Senior Economist, Head of ‘Doctrine and Modelization’ Department; Direction of Institutional Affairs and Regulation—Groupe La Poste. The opinions expressed here are ours and do not necessarily reflect the position of La Poste. Mathilde Hoang: Apprentice in the department ‘Doctrine and Modelization’; Student of Master “Network Industries and Digital Economy”, TELECOM ParisTech. 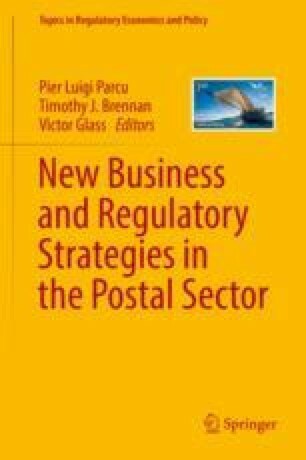 Denis Joram: Head of Regulation and Study Division; Direction of Institutional Affairs and Regulation—Groupe La Poste. Rubens. (2014). Can Cloud Storage Costs Fall to Zero?, August 5th, http://www.enterprisestorageforum.com/storage-management/can-cloud-storage-costs-fall-to-zero-1.html.